Organizations are witnessing rapid changes in the VUCA -Volatile, Uncertain, Complex and Ambiguous world today. For companies to remain competitive, change is inevitable. In all the upheavals, professional managers play a pivotal role, as they are the ones who would help manage the changes and would take organizations to the next higher level. 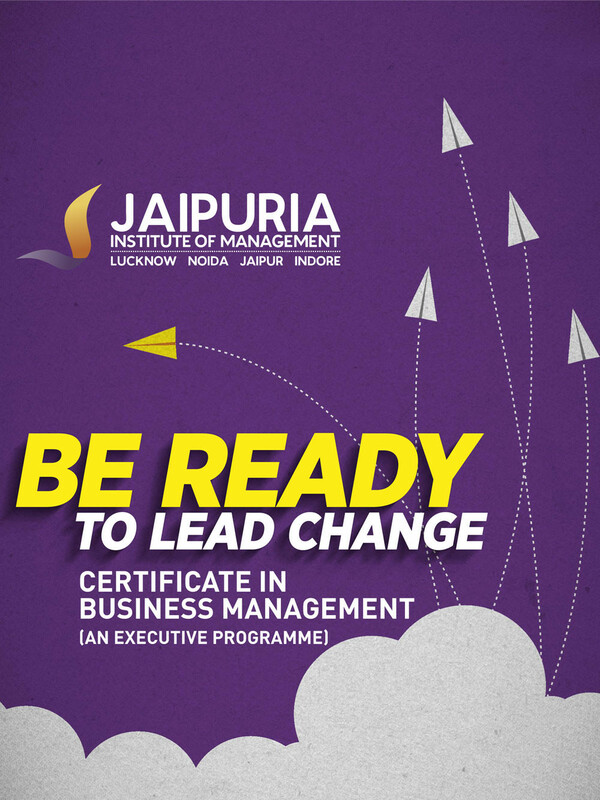 This unique offering by Jaipuria Jaipur is aimed at professional enhancement in managerial domain for executives, working professionals and anyone who aspires to manage and lead organizations. It provides the candidate an insight of different business functions for optimum utilization of resources to maximize the wealth. The programme will sharpen your managerial skills to help you excel in your current position or advance to a new one. You will learn industry- best practices for fostering team creativity, improving productivity, making strategic decisions, and sustaining competitive advantages.